As parents we must teach our children the realities of life. Life hurts us, people hurt us, we hurt other people and we hurt ourselves. That is what relationships and life are about. The sooner we let our children in on this secret the healthier their life-approach will be. Forgiveness is many things but we also must teach that forgiveness doesn’t always mean reconciliation. It is not about condoning harms which have been done. Forgiveness is about taking power back. 1. Learning to let go: When our children get hurt it is natural for them to want the other person to be sorry for what they did. They can get so stuck on this that they put their happiness on hold as they wait for an apology. 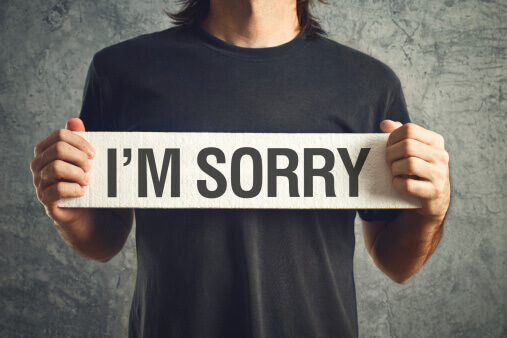 As parents it is our job to teach them to understand these apologies rarely come. Closure comes from within and in their ability to let go and move on. 2. Acceptance of what is: What is done is done. Our child has already been hurt, the assault has happened and no amount of their anger or sadness can or will change that. As parents we can help them learn that when they can accept that there is no way to reverse the damage then this will help them move on and not give any more time to something they cannot change. This liberates and brings them the power to determine their own worth. 3. Seeing the good: It is important to teach the “sliver-lining” theory to our children. Seeing the good and showing them how negative situations grow their character will help to bring them to grateful thinking. Grateful thinking is that middle ground where we teach our children to accept life on life’s terms and to find the good in the painful and in the wonderful. 4. Time heals: Our children need to learn when they have been hurt that hurts don’t usually heal quickly. Forgiveness is not an event it is a process. Their feelings are going to take time and this is ok. Their emotions are healthy and they, like us, need to experience the full range of emotions when they have been betrayed before they can get clear about what they need to do next. 5. Growth Opportunity: If we can show our children that how things are supposed to be and how they turn out is often very different this will help them develop a realistic and mature view on life and people. With each hurt our children have the opportunity to turn a painful situation into an opportunity. We teach them that their emotions are natural and they grow the most by being more human (feeling emotions) not by being less human (acting like they don’t care). Little Life Message: Teach your children that their best revenge is to move on and find their happy. Sherrie Campbell, PhD is a licensed Psychologist providing counseling and psychotherapy services to residents of Southern California. Dr. Campbell specializes in psychotherapy with adults and teenagers. She is also the author of Loving Yourself: The Mastery of Being Your Own Person.